Music is and always will be Dale’s first love and interest in his pursuit of happiness and the childhood dream of being a professional musician. In a world of computer programmed music, Dale is known for his musical styles and ethnic fusion. Dale is self taught and influenced by his father who was a professional guitarist and bandleader. This provided musical roots to enable him at a young age to play alongside the Iconic Sheila E.
Early on Dale established a reputation for being one of the most recognized Bay Area percussionists. After playing at nearly every venue in the Bay Area, he decided to head south to seek fame and fortune in Los Angeles. With this new hunger and determination to succeed in unfamiliar territory, Dale was prepared for the challenge. Since relocating to Los Angeles in 1995, Dale has earned his respect as a percussionist in the L.A. circuit. This has provided the opportunity to tour the summer of 1999 in South East Asia with Latin Pop sensation Ricky Martin, which included shooting the Mi Vida Loca video for MTV Asia. 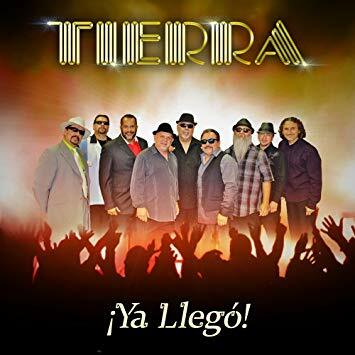 Recent projects entail performances with El De Barge on Arsenio Hall, percussion scenes on the nominated HBO series West World and for the last 20 years has been the percussionist with the Latin Legend Band TIERRA. In addition to his love for music Dale has aspirations of becoming a band leader and stared his own band, BONGO FUNK. With a new CD and single coming out in 2019 you will be able to sample some of Dale’s rhythm and style.